It has been formulated by Home Ministry on the inputs received from 18 States/UTs, five state legal services authorities and open sources including civil society, three high courts as well as from police personnel. It was finalised in consultation with National Legal Services Authority (NALSA). It aims to ensure that investigation, prosecution and trial of criminal offences does not turn out to be biased as witnesses are intimidated or frightened to give evidence without protection from violent or other criminal recrimination. Confidentiality and preservation of records, recovery of expenses, etc. Threat extends to life of witness or his family members during investigation, trial or thereafter. 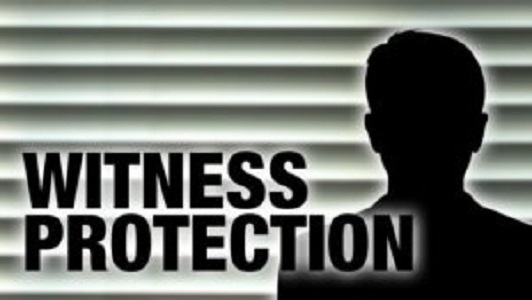 Threat extends to safety, reputation or property of witness or his family members, during investigation, trial. Threat is moderate and extends to harassment of witness or his family member’s, reputation or property during investigation, trial or thereafter. Categorised witnesses under the scheme can file application for seeking protection order before competent authority of concerned district where offence is committed. This competent authority will be chaired by District and Sessions Judge. Head of police in the district will be its member and head of prosecution in the district as its member secretary. When this authority receives application, it has to call for Threat Analysis Report (TAR) from ACP/DSP in charge of the concerned Police Sub-Division. The authority is also empowered to order protection measures based on TAR such as identity protection, change of identity and relocation of witnesses. The apex court held that scheme will become law under Article 141/142 of Constitution till enactment of parliamentary and state legislations on the subject. It also directed states/UTs to set up the vulnerable witness deposition complexes (VWDCs) within period of 1 year (by the end of 2019). It also observed that there is paramount need to have witness protection regime in statutory form. The main reasons for establishing these VWDC is large percentage of acquittal in criminal cases is due to witnesses turning hostile and giving false testimonies, mostly due to lack of protection for them and their families.